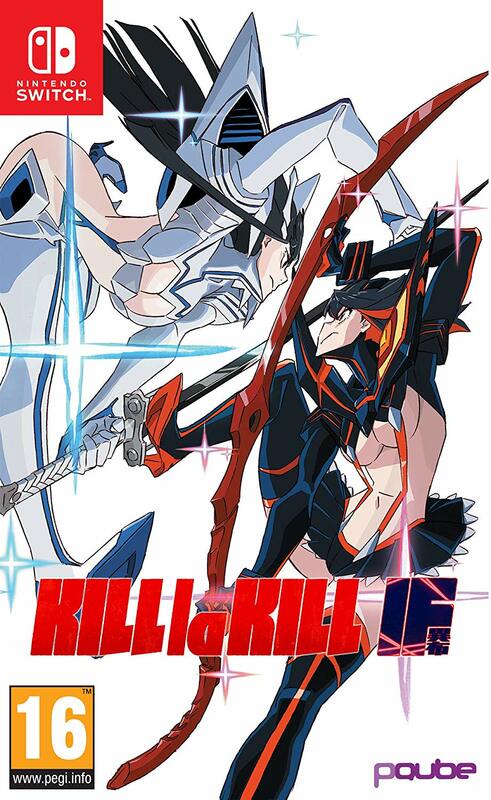 Supervised under the original scenario writer Kazuki Nakashima comes a new untold KILL la KILL story of 'IF's! This is THE KILL la KILL battle action! Experience the hot-blooded action from the original anime series in this game! Use your favorite character, and pulverise all who stand in your way! Simple controls and extravagant actions! The Euro cover art for Kill la Kill the Game: IF is pretty much the same as the North American version, just with some different logos. While I really love the art itself, I wish it wasn't squished for the Switch release. You can see on the PS4 cover that the art has a bit more room to breath. I'm not quite sure why PQube didn't just go with a cropped, non-squished version for the Switch cover, rather than scrunching everything up.